Family Style dining is an Amana tradition and while these restaurants also serve delicious plated meals it’s the family style bowls of side dishes that has its roots in our history and makes this a unique experience. 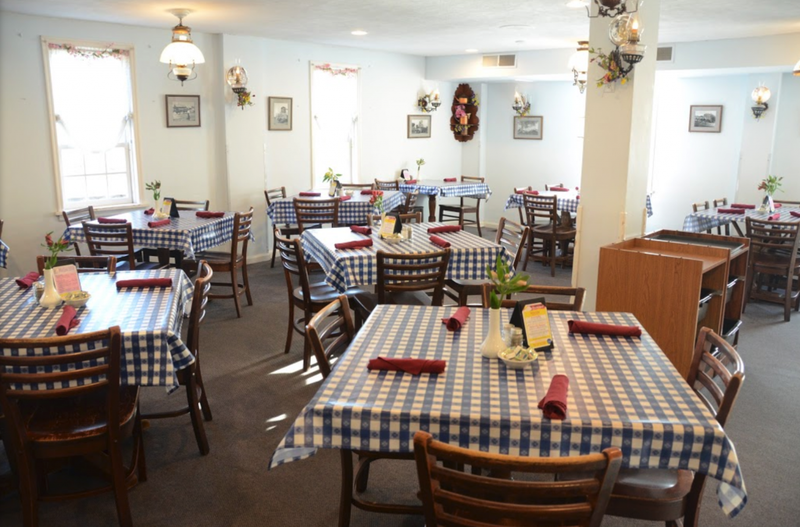 If you have never had an Amana Colonies Family Style meal you need to put it on your list of things to experience. Communal era Amana was home to over 50 communal kitchens. These kitchens fed about 40 people 5 times a day and were established as an efficient way to feed the community. A kitchen boss would run the operation and she would be in charge of a group of ladies both young and old that would tend the 2-3 acre produce garden or help cook and serve the meal. The meat would be portioned out equally but all of the remaining items on the menu would be served in large bowls and passed around the table. This was family style and it is how our famous restaurants were born. You review the menu and select your entree. After the salad course, your entree will appear (no refills on the entree but it will be ample in size) followed by more family style bowls, this time hot vegetables, sauerkraut, and potatoes. Don’t worry you salad lovers, they will keep those bowls on the table also. Same policy here on the refills, just ask your server.